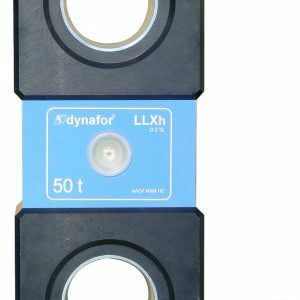 The DYNAFOR™ LLX1 devices are electronic load indicators to measure tensile forces (N) and determine hanging loads (Lbs ).Precision: +/- 0.2 %Available models from 1000 lbs to 40000 lbs. 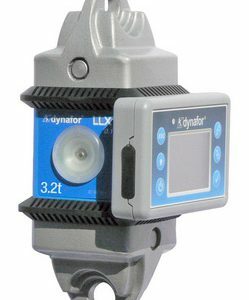 The Dynafor™ LLX1 Dynamometers are precision force sensors used to measure forces and indicate loads.The shape of the dynamometers enables the use of standard shackles on both ends.The dynamometers of this range function in all positions for the measurement of force and suspended for weighing purposes. 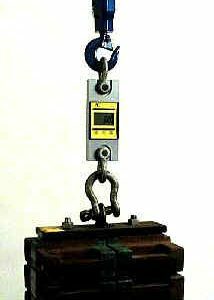 Operating Principle Strain gauge measurement of the extension, within its limits of elasticity, of a metal body subjected to traction stress. 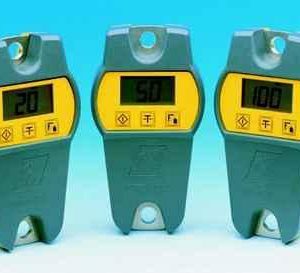 The sensor generates an electrical signal that is proportional to the load. This signal is processed by a micro-processor analyzer and then displayed on a build in LCD display. 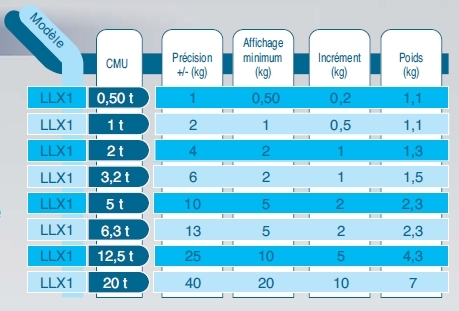 Precision: 0,2 % of full scale. 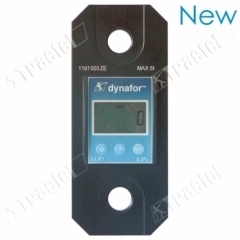 Power supply : 3 batteries 1,5 V "AA" or 3 rechargeable batteries 1,2 V "AA"